Numbers don’t lie. Slip & fall accidents cause 15 percent of all accidental deaths that occur in New Jersey every year. This number could be even higher in Mt. Laurel, New Jersey, where sidewalks are often covered with snow and ice during the winter. Whether you are shopping at the Moorestown Mall, walking on the driveway outside a friend’s home in the Ramblewood neighborhood, or moving through Laurel Acres Park, you could slip, trip, and fall – and consequently suffer a serious or even fatal injury. That’s why it is vital that property owners do everything in their power to ensure that site visitors are safe. When a property owner acts recklessly, or negligently, and fails to take appropriate steps to either fix a property defect or warn a visitor about a property defect, that property owner should be held accountable. If you suffered an injury, or if one of your loved ones tragically died, due to someone else’s negligence in Mt. Laurel, NJ, you need to be proactive about seeking justice. 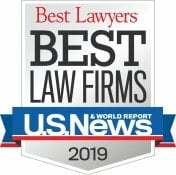 Call The Law Offices of Andres & Berger today to speak with an experienced personal injury and wrongful death attorney. At The Law Offices of Andres & Berger, P.C., we are passionate about serving our clients. We are not afraid to tackle the difficult cases, which is why other law firms in Burlington County and Camden County often refer their clients to us. If you were injured due to someone else’s negligence in Mt. Laurel, NJ, we are here to assist you. Attorneys Kenneth G. Andres, Michael S. Berger, and Tommie Ann Gibney are key members of the legal team at The Law Offices of Andres & Berger. 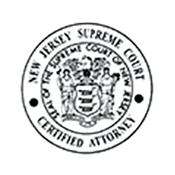 All three attorneys have been certified by the Supreme Court of New Jersey as Civil Trial Attorneys, an exclusive honor bestowed on just two percent of attorneys in the entire state. For over 30 years, Kenneth Andres, Jr. has dedicated his professional life to assisting accident victims in New Jersey. 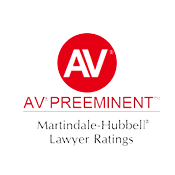 Mr. Andres is passionate about protecting the rights of individuals who have sustained injuries in car crashes, slip & fall accidents, and other types of accidents. 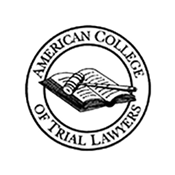 In addition to being certified as a Civil Trial Attorney, Mr. Andres has been recognized for his success and professionalism with a number of other awards and certifications. 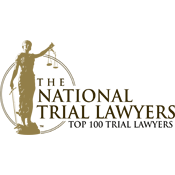 For example, he was named a “Top Certified Civil Trial Attorney” by South Jersey Magazine and was listed among the “Nation’s Top One Percent” of trial attorneys by the National Association of Distinguished Counsel. 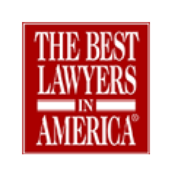 Michael Berger, a managing partner of Andres & Berger, P.C., is highly regarded by his peers in the legal community and has a proven track record of success that includes obtaining countless multi-million-dollar settlements and verdicts for South Jersey medical malpractice victims. 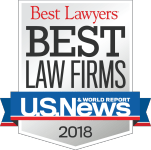 Mr. Berger also stays on top of developments in medical malpractice law in NJ and elsewhere because he frequently speaks and lectures for state and national legal organizations and teaches at Drexel University – Thomas R. Kline School of Law. Accident victims in Mount Laurel, NJ need a voice, someone who will stand up for them at the negotiating table and in the courtroom and ensure that they get financial compensation for their injuries. Kenneth Andres, Michael Berger, and the other experienced members of the legal team at Andres & Berger, P.C. are dedicated to representing accident victims in Burlington County, Camden County, and everywhere else in South Jersey. Contact us today to schedule a free initial injury consultation about your personal injury case. Mount Laurel is a township located in the eastern area of Burlington County, NJ. Mount Laurel has a population of nearly 42,000 people and a total geographic area of 22 square miles. The township was incorporated in 1872 and was named after laurel trees growing on a local hill. NFL Films, the company that produces documentary films and television programs about the National Football League, is headquartered in Mount Laurel Township. Landmarks in Mt. Laurel include Paulsdale (the childhood home of suffragette Alice Paul), Jacob’s Chapel (a church that was part of the Underground Railroad), Evesham Friends Meeting House (a Quaker meeting house in the 1700s), Farmer’s Hall (site of the township’s town hall meetings from 1904 to 1969), and Hattie Britt School (an elementary school named after one of the township’s historically important black community leaders). Residents of Mt. Laurel enjoy participating in outdoor activities on the township’s many sports fields, parks, and lakes. For instance, Laurel Acres Park has a fishing lake, a playground, and a grassy hill that serves as a site for music concerts in the summer.